When asked why the Eagles as their moniker, Dallas stated that “we're affiliates with West Coast Eagles! Can't go wrong with being the little brothers of the premiers”. 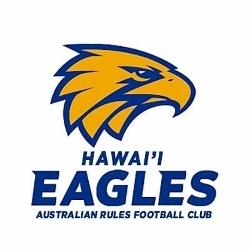 This is an exciting development for footy, not only in Hawaii, but also offering opportunities for the whole of the USAFL and even other countries across the Pacific.